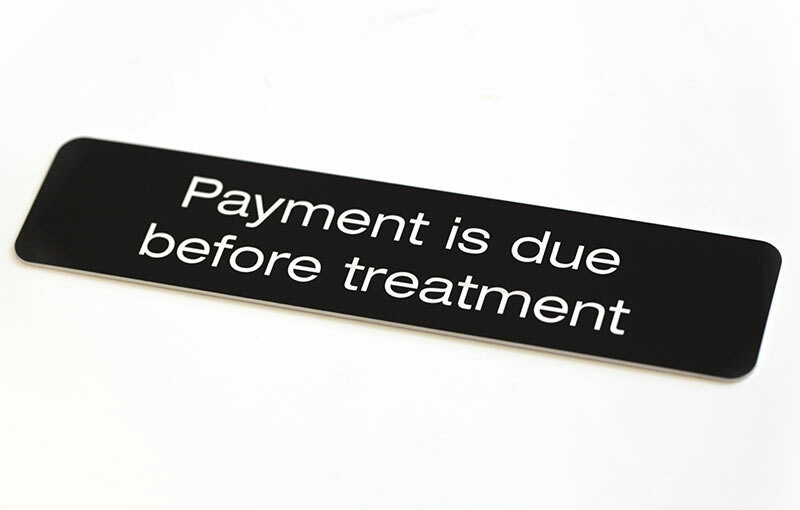 9" x 2" copay signs for medical offices and check in areas include laser engraved standard text that reads "Payment is due before treatment". 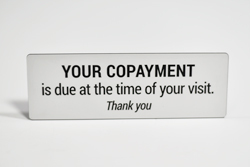 Post these at check in desks or on the wall of your waiting room. 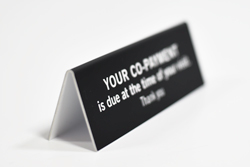 These medical office signs (1/16" thick) are available in a variety of two-color combinations including brushed metal and wood tone finishes. 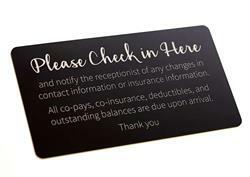 If you require a different size, contact us at service@officesigncompany.com or via phone at (701) 526-3835 with all of your details and we will send you pricing for what you need. 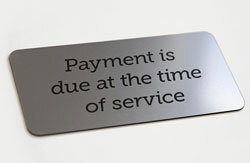 Personalize your sign(s) - Indicate line breaks using slashes (/), include punctuation if so desired. 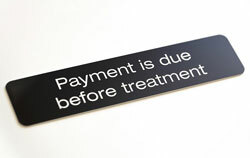 Leave blank for standard text that reads "Payment is due before treatment"
Please check in and check out signs for desk are double-sided with any custom, laser engraved text you require. 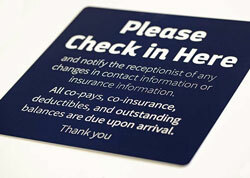 These tent signs are a perfect addition to any reception desk, doctor's office, or retail counter. 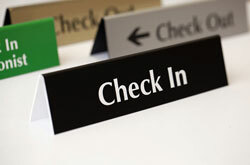 Custom office signs and checkout signs.